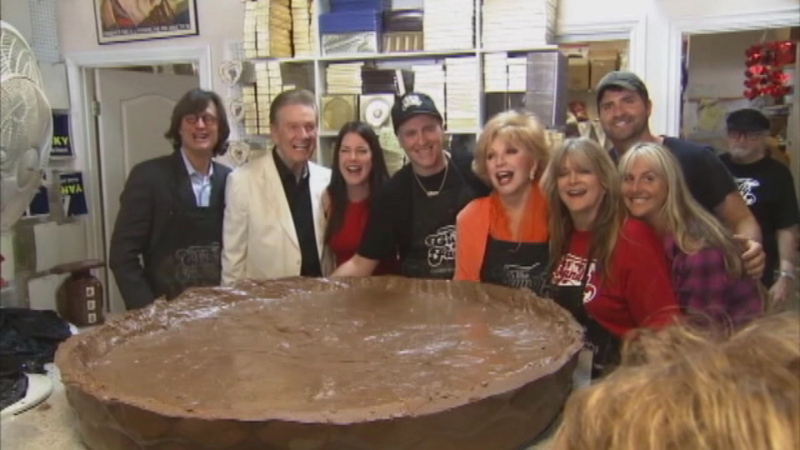 North Hollywood's The Candy Factory has set out to break the world record for the largest peanut butter cup. NORTH HOLLYWOOD, Calif. (WLS) -- A California candy store hopes a giant chocolate concoction will land them in the record books. Workers poured the chocolate and peanut butter into a kiddie swimming pool. The current record-holder is a Vermont chocolate shop which made a 230-pound cup, but these dessert makers hope their creation will top that.